By creating walking tours you can add a new dimension to your travel blog or social presence. Some of the tours on our platform reach hundreds (or thousands) of views within a few weeks, you can establish yourself as an expert on a theme or area by creating a few walking tours – and your readers can communicate with you directly from your tour page on Routey. See our previous post about the Paris self-guided walking tour that got over 1,000 views in under one month, it is clear that in this case, this tour hit the spot, and that there is an obvious hunger for personalized and honest tours – designed by regular people. Many travel bloggers have already created tours, only that these are in photo or text form, all you need to do is to “translate” it into points and descriptions and voila – you have your tour on Routey. 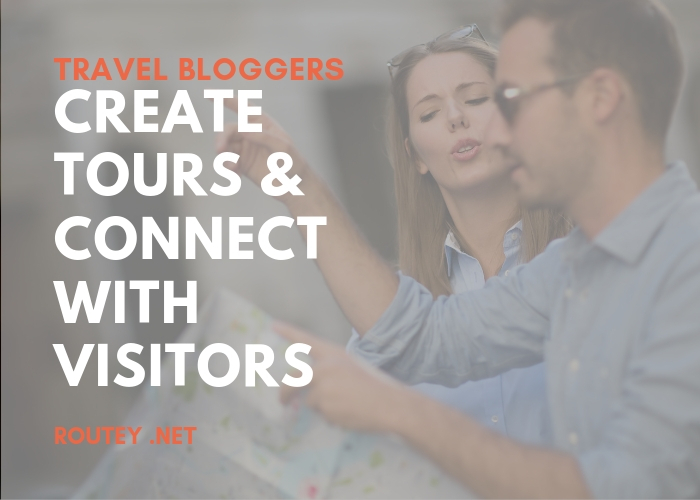 Sign up to Routey today and get the attention your travel blog deserves through your tours.